"Despite the great cast and director, did this film need to be made?" The political atmosphere of the Nixon administration has afforded Hollywood with a multitude of storylines over the past five decades. From the classic All the Presidents Men to the recent Elvis & Nixon, this may not have been a proud moment in US presidential history, but it is a fascinating environment for drama and intrigue. With the current world’s political climate, it is no surprise that Hollywood would revisit this era of conspiracy and espionage. 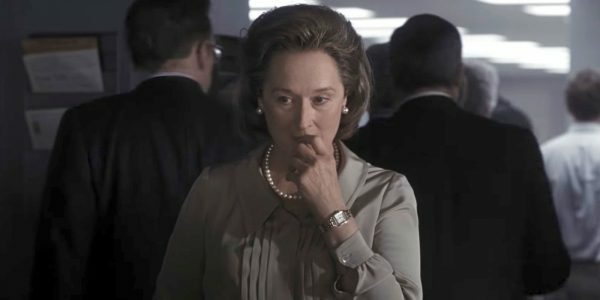 Especially with Steven Spielberg directing Tom Hanks and Meryl Streep in the lead roles, The Post will be a frontrunner for Best Picture before it even gets released. In 1971, the Washington Post was a respected regional paper but consistently remained in the shadow of the New York Times. Kay Grahame (Meryl Streep) had inherited the role of the publisher after the unfortunate death of her husband, Philip Grahame, who had been a powerhouse in the industry. As she was figuring out her capabilities in this new position, one of the paper's most significant opportunities and challenges forced her into a leadership role. Ben Bradlee (Tom Hanks) was the charismatic but controversial editor who was continually searching for the means of gaining national notoriety when the staff was given access to confidential files called The Pentagon Papers. During these years in the early 70's was a moment in history where the lines were getting blurred to the legality of releasing government documents and how this affected the freedom of the press. With both of their careers and the reputation of the paper on the line, they needed to determine the calculated risk of releasing the documents. The Hanks/Spielberg combination has been a winner over the past few decades from Saving Private Ryan to Bridge of Spies, where most of the films have proven to be critical and financial successes. Then to add Meryl Streep into the mix qualifies this film to gain the critical attention that it needs as it goes into the awards season, but the question will be if it can draw people into the cinema during as well. There are a few hurdles for Spielberg to overcome for this to move from a little docu-drama to a well-told suspense drama. With all of the films that have focused on this time in history and the administration of this president, can there be more to be said? 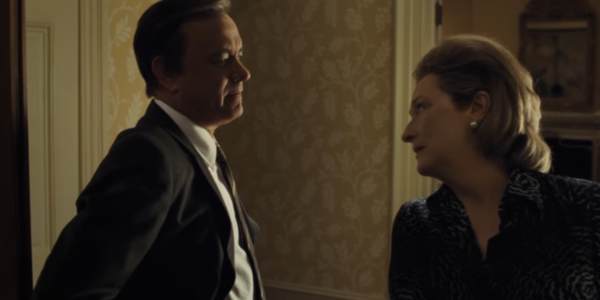 Even with the strong performances of Hanks and Streep, the characters are not as compelling and lack the suspense of other films that focus on the Watergate saga. Unlike Bridge of Spies where Hanks plays an unsuspecting action hero that proves that drama, suspense and action are needed to support a compelling story was not seen in this historical account. The tension in this version of history is reliant on the moral situation of the employees of the Post and determining if they should break the law for the sake of the free press. Albeit a fascinating part of history, the whole experience is more tedious than suspenseful. Spielberg does provide another look at a significant portion of the past with a marvelous cast and the direction of the film is in the hands of one of the most prolific men in cinematic history. Even with all of The Post's stellar elements, it still begs the question of whether it needed to be made at all because it does not provide anything new to the telling of this portion of the political scene. How Speilberg's film addresses this query is by analyzing the importance of checks and balances in a political system to ensure that maintains integrity. This has been continually challenged throughout history and is no different today. With all that is happening on the political world stage in this modern era, The Post provides a reminder of the value that a free press, despite its potential biases, that it does give the public with a means of keeping governments accountable and that we should protect this right.